A female Lazarus, a savagely beaten outcast, a lust-driven murderer, a dying drunk: The cast of characters that inhabits Nick Cave's Henry's Dream personifies their creator's dark vision. In the nine years since the breakup of his Australian Goth-thrash outfit the Birthday Party, Cave has developed not only as a lyricist but as a compelling storyteller. His grisly obsessions haven't changed much over the years, but backed by the Bad Seeds, which he formed in 1984, his execution has. Cave the vocalist has gradually transformed from snarling shriekmeister to basso profundo stylist. Meanwhile, former Birthday Party drummer-guitarist-keyboardist Mick Harvey has led the Seeds from skittery minimalism into a richly textured musical setting ideal for Cave's tales of despair, horror, passion and  occasionally  love. 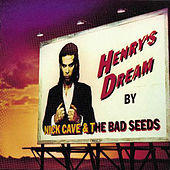 Henry's Dream, Nick and the Seeds' seventh album, emphasizes melodiousness as much as the Birthday Party pioneered sonic bedlam: Acoustic guitars reign where distorted feedback once pillaged, and violin and cello arrangements add dramatic effect. Working for the first time with an outside producer, David Briggs (of Neil Young's Ragged Glory fame), the Bad Seeds  Harvey on guitar and organ, Blixa Bargeld on guitar, Conway Savage on piano, Martyn P. Casey on bass, Thomas Wydler on drums  put forth their best playing yet. Cave varies his vocal delivery to meet the needs of each song. He solemnly intones the hymnlike "Christina the Astonishing," in which the protagonist "was stricken with a seizure" and "sprang up from the coffin/Just after the Agnus Dei." 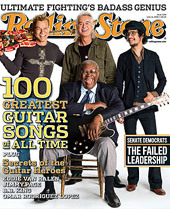 On the fervent "I Had a Dream, Joe," the singer testifies like a camp-revival preacher, and as the scapegoat of a shrew "with an iron fist," he growls the lyrics to "Jack the Ripper." Punctuated with jangling guitars, the Cave-style love song "Straight to You" describes its paramours' world as one in which "Heaven has denied us its kingdom/The saints are drunk and howling at the moon/The chariots of angels are colliding."